Its kind of a transition blog while I get my head around designing and setting up a website. Yes. Everything has to be able to be found in one place, I've got to make sales easier! 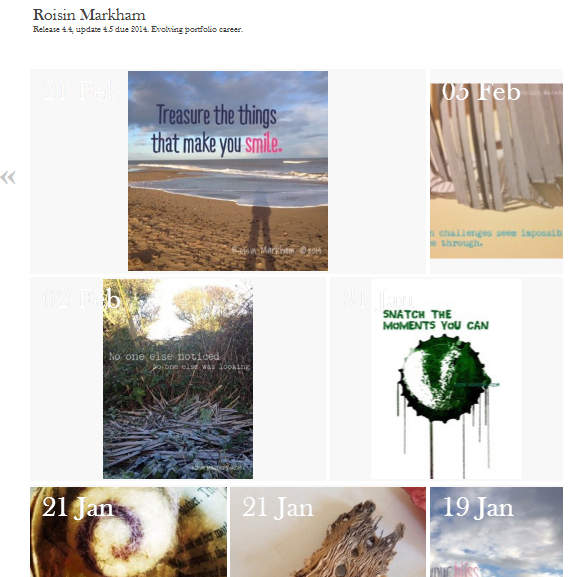 For 2014 I want things to be simpler, I've gone back to my roots creative visualisation that's what really going on over at http://roisinmarkham.wordpress.com . But the reason I'm blogging about the project here is that the image I took and posted today is one of the first images I used as a social media avatar over five years ago! It really struck me as I posted it - full circle but with a better quality device... I'm smiling my shadow along the beach! 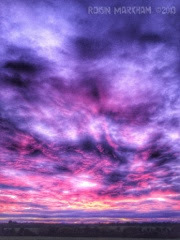 But it led me on a wander through some of my published online spaces the poem link to 2009 and to this link about loss, love and a smile Of Earth and Soul work. I've a new quote I'm thinking of making work around. My continual battle with being organised in the studio is getting a new habit in 2014. That's now by the way and its in action. Not that I am distracting myself from this task by blogging! No infact I'm getting clarity and making a public declaration. I'm making space for my personal arts practice. It does n't matter if I am the biggest critic as long as the work gets done. I am the biggest factor in getting my work out there for people to see and buy. If I am not making and sharing my art then I am not growing my artistic practice. There was a very small bit of water in the studio yesterday. A box of recent must keep bits and pieces got wet. I need to stop hoarding keepsakes. If they are worth keeping they need to go in a notebook, collage or piece of work. I'm trying something new, retrieve it, document it, stick it, bin it. I'm navigating my way through the first few days of 2014. My work space has to get stripped back. Filing, bin, recycling and donating are my policies, I need to be strict about implementing them. No mercy. But what do artists do with old canvases? Work unsold, half finished paintings, half thought out textiles. Bags and boxes of potentially useful materials. I'd rather sell the work or barter it. More on that shortly. One of my words for 2014 is COURAGE. You can see my words over on my new visual blog at http://roisinmarkham.wordpress.com/2014/01/04/2014/ add your chosen words there. I'd love to hear about them. What am I making besides an organised space? At the moment I am using my iphone camera a lot. Not a great habit but an easy one to form. Looking forward to chatting with an college mate more about photography, instagram and the art form and communication tool that is photography. I'm focused on learning to edit. That is my second word that has picked itself I think. A new way of working is revealing itself. Having fun with some iphone camera apps and exploring HDR.